If you ask someone the first thing that pops into their mind when they think of the City of Dallas, they might talk about the skyline, the museums, the State Fair, or sports teams. While the City has plenty of cultural attractions, it is also home to an abundance of natural resources that enrich the lives of its residents and help preserve endangered ecosystems. Dallas is home to about 6,000 acres of the Great Trinity Forest, which is the largest urban bottomland hardwood forest in the world. It stretches along 11 miles of the Trinity River, and is home to an abundance of wildlife, including over 200 species of birds, as well as fox, opossoms, and bobcats. The Dallas Park System is one of the largest municipal park systems in the nation with 381 parks totaling over 23,242 acres of developed and undeveloped parkland, as well as over 125 miles of trails. 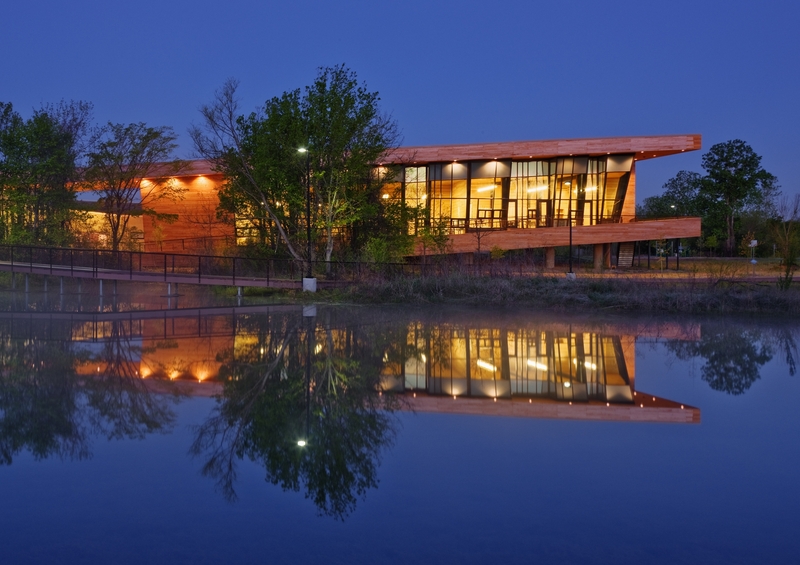 In 2011, the Dallas Audubon Society built the LEED Gold-certified Trinity River Audubon Center on Park and Recreation land in the Great Trinity Forest.